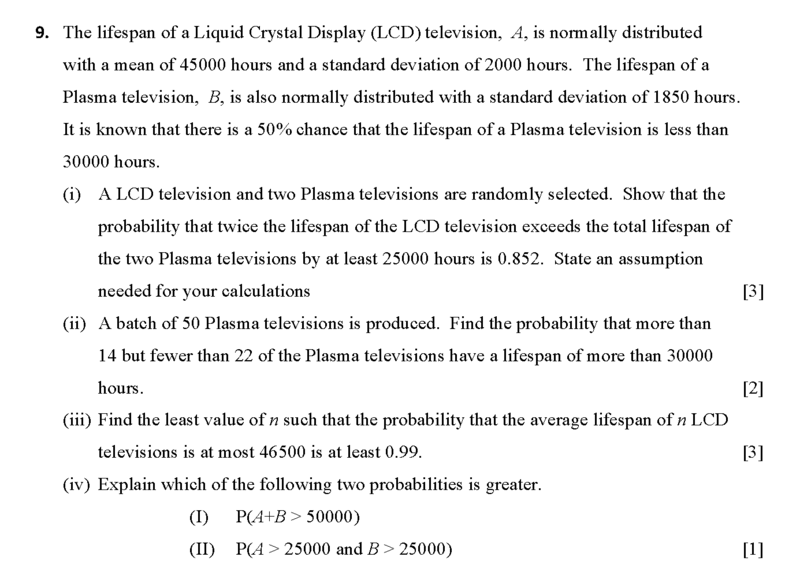 This question is taken from 2011 AJC prelim examination paper 2. It is a typical normal distribution question with many parts. 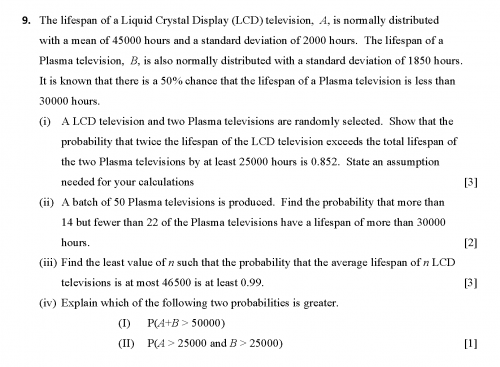 Each part tests the student on various aspects of the normal distribution. Part (i) tests the student on the concept of addition and multiplication of normal distributions. Part (ii) tests the student on using the Binomial distribution as a means to solve a problem. Part (iii) tests the student on the idea of sample mean for a normal distribution as well as standardization to the standard normal distribution and using the inverse-norm function in the GC. For best results, pause the video in the beginning and attempt the question by yourself before viewing the solution. To view the board-cast on YouTube, click on the YouTube icon at the lower right-hand corner of the player above or simply click here. A Levels H2 math - Mathematical Induction with hence parts. A new home for numberskill Math Tuition!